Chile’s Capital, Santiago, is a hotspot for museums, cultural institutions, restaurants, and a variety of outdoor activities to keep you busy. 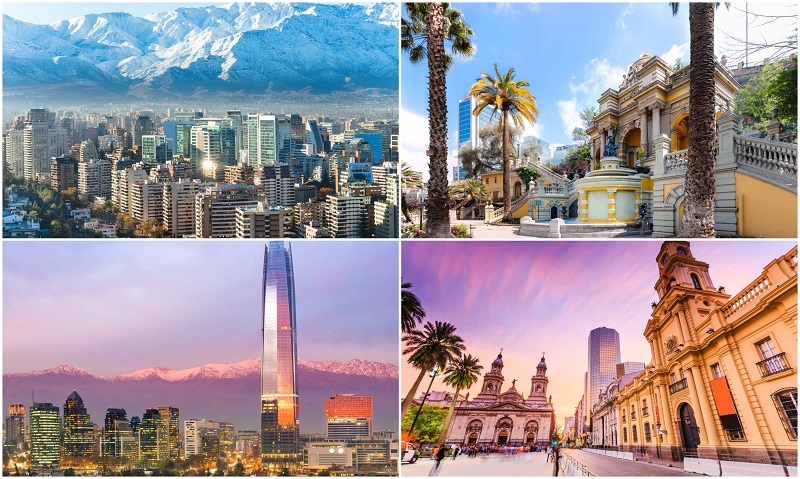 Making things all the more convenient, it is home to one of the best metros in South America offering easy connectivity between the city’s sights and sounds. A great way to start the day, get a bit of fresh air, and the best view of Santiago surrounded by the Andes. San Cristobal Hill sits in the centre of the city and boasts two outdoor swimming pools, a zoo and a funicular for those looking to get up and down without breaking a sweat. Many hike the hill to see the Virgin, which sits at the top; this iconic figure watches over Santiago and emits a lovely glow at nightfall. My parents and I started around noon on the first day in Santiago. They were staying at a wonderful Air BnB close to Plaza de Armas so it was just a quick metro ride on the green line to Baquedano station. 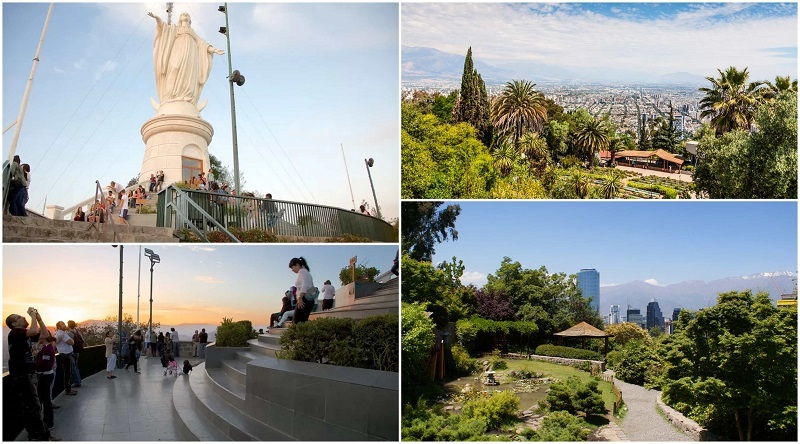 To get to the bottom of San Cristobal, we took a short stroll through Bellavista, probably the best-known area in Santiago to grab a bite to eat, sip a pisco sour or, on the weekend, to let loose and party. After seeing all the options from the sidewalk, we decided to come back afterwards and feast on a nice parrilla (barbequed meat plate). The hike itself takes about an hour, with a stop at the top to admire the view and rest at the feet of the Virgin. We took the funicular on the way back for fun, which was great for a short commentary about the hill and its history. We had built up a healthy appetite and sat down at La Percanta for the best parrilla in Santiago. As my parents came at the end of October, the days were getting longer and warmer so, after our late lunch, we took a gentle walk to Lastarria, a high-scale barrio in the city. Here you can find Emporio La Rosa, somewhat of a cultural institution in Chile, well-known for its unique flavours of ice-cream. With our rose-water and lacuma cones, we headed over to Parque Forestal to sit in the sun and enjoy the rest of the day people-watching under the palm trees. Like I said previously, the metro system in Santiago is one of the best and makes it incredibly easy to get from one site to another. Along the green line, there are a multitude of museums and parks to see. Start at whichever end of the core area you like, but we began at Bellas Artes, where the Chilean National Museum of Fine Arts resides. This is the flagship of the Chilean temporary art scene and hosts some of the best works in the country. Outside the museum is Parque Forestal, where we went the day before. On weekends, there is a flea-market; people put down blankets and sell used clothing, art and other knick-knacks. You’re also sure to catch jugglers, break-dancers and live music. 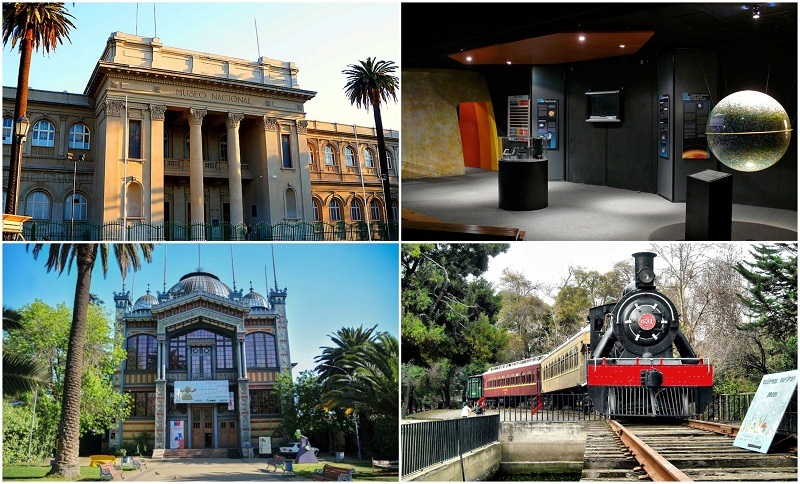 Hopping back on the green line, we headed over to Quinta Normal; here lies Santiago’s museum district with the Museum of Natural History, the Railway Museum, the Artequin, Museum of Science and Technology, the Children’s Museum, and the Human Rights Museum. Besides the variety of museums, there is the impressive Quinta Normal park to enjoy on bike or on by foot. You wouldn’t think exploring galleries and parks is tiring, but because Santiago has so much to offer, we felt ready for a sit-down. It’s a lot of information for one day, but Chile’s history is an interesting and at the same time, a sad tale, including their 17-year dictatorship. So after educating ourselves, we felt we could appreciate Chile on a slightly deeper level. Close to the Air BnB and Plaza de Armas is one of The Office locations, an alternative, left-wing eatery. Here we sat down and tucked into a Tabla or “share plate” accompanied by a few excellent pisco sours. The perfect way to end another exercise-filled day. In the centre of Santiago lies Plaza de Armas, offering a representation of everyday city life. Almost any day of the week you’ll find street performers with large crowds and families gathered about. Vendors line up to sell everything from art to wool scarves to fire-roasted peanuts. Surrounding the plaza are several historic buildings such as the Metropolitan Cathedral of Santiago, Central Post Office building, and Palacio de la Real Audiencia de Santiago (Chilean history). With the Air BnB residing almost directly next to plaza, it was just a short walk away for us. After soaking in the culture of Plaza de Armas, we headed over to La Moneda. The inner courtyards of La Moneda are open to the public with several monuments adorning it, including one dedicated to previous president, Salvador Allende. 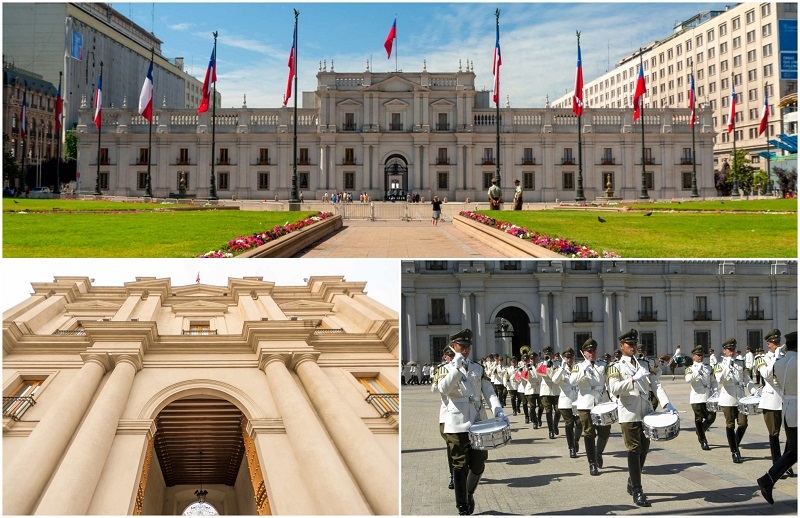 There are tours of La Moneda, explaining governmental procedures and some of the history behind Chilean politics. Also, the Centro Cultural Palacio La Moneda should be explored in conjunction, as it sits right underneath the presidential palace. 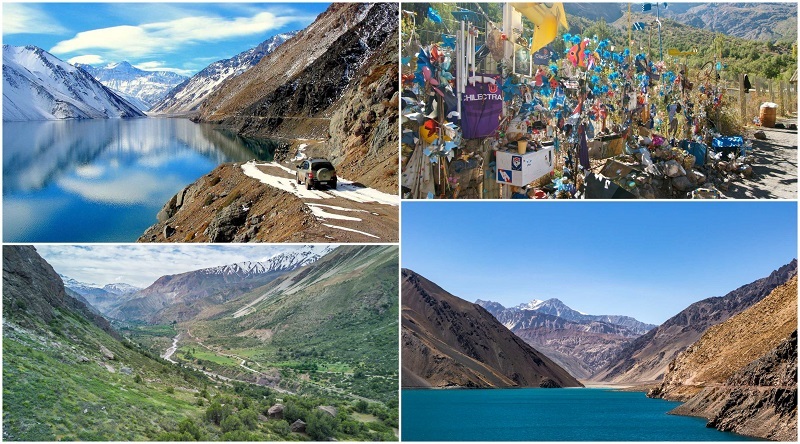 It hosts some of the best Chilean arts and crafts. The two main markets in Santiago are Mercado Central and La Vega. They can easily be seen within hours of each other. This is exactly what we did on our third day in the downtown area. Mercado Central is the main seafood joint in Santiago; you can find every type of sea-dwelling creature you desire. As well as being a lively market, there are restaurants lining the interior if you want to give Paila Marina or ceviche a try. La Vega is just across the bridge from Mercado Central and boasts kilometres of fruits and vegetables. There’s a lively vibe in the market and it’s always incredibly busy on weekends. Another great place to go to get a feel for Santiago daily life as it’s mostly locals who shop here for the better-priced items. A little outside of the downtown core sit the communes of Providencia and Nuñoa; both very popular among tourists due to the vast amount of restaurants, bars, and things to do. Providencia is well-known for its large, old, and elegant houses which are now mostly used for offices. It is also home to a fair share of theatres, cultural centres, and universities. We first set-off to wander through the endless stores lining Provincia and Nueva Providencia streets. There’s a lively buzz between the blocks with vendors laying down blankets on the sidewalks to sell Lapis Lazuli and copper jewelry, knit-wear and various electronics. Between 1pm and 3pm, bars and restaurants are filled with Santiageuños enjoying their lunches. We sat down at a typical Chilean eatery, fully-equipped with a Menú, basically the specials of the day including dessert and drink for a set price. You can expect to find items like Pollo Asado “roast chicken” and Chuleta “pork chops” with sides of rice or potatoes for about $6USD per person. Plaza Nuñoa should be explored in its own right; if it’s a nice day you can walk there from the main streets of Providencia in under half an hour. If you’re getting tired, there are also buses which run regularly down Los Leones street. The plaza is known for its cultural centres, entertainment venues, bars, restaurants and of course, artesanal ice cream. After wandering around the plaza and taking in the sun, ice-creams in hand, I felt I had to show my parents one of my favourite places in town: HBH. This is a micro-brewery, which only makes three types of beer: black, red, and blonde. HBH is the perfect place to come on a hot day and enjoy your favourite pint with a side of crudo or “ground beef with fresh lemon”. After a regenerating cold one, we were all ready to hop back on the bus and rest our feet at the Air BnB. Sometimes, if time is limited, a set tour can be a good option. My mom was keen to know more of Santiago, including places the metro didn’t go. For this, we chose a Hop-on Hop-off tour which took us throughout he downtown area then all the way up through the upper-class area of Las Condes. Stops include Parque Arauco, Plaza de Constitucion, and the “Sanhattan” district. 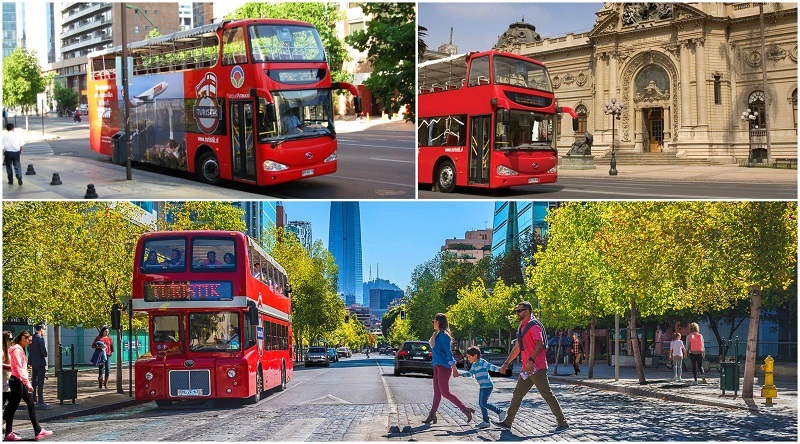 Hop on a double decker bus and get live commentary on the best attractions in Santiago. We had two days to spare before my parents set-off back to Canada, so we decided to stay a night in Cajon del Maipo, a beautiful canyon/park just outside Santiago. To get there, we took the blue metro line to the last stop, then hopped on a mini-bus which goes all the way into Cajon del Maipo’s town, San Jose del Maipo. 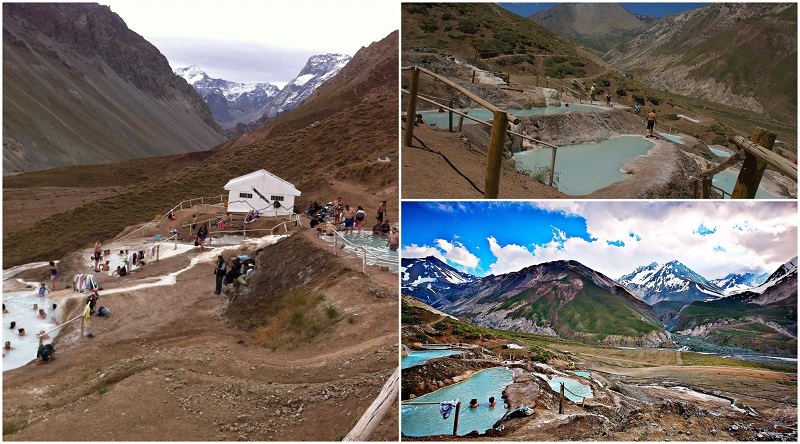 After finding a nice lodge and renting a car from the owners, we took a trip to Baños Morales; these are natural mud-baths tucked about 20KM into the canyon. People go here purely for the rejuvenating properties of the natural earth, and to soak in the sun. The climate in the Canyon is distinct to that of Santiago; it is much more desert-like with cacti and other succulents growing on the mountainsides. So if it’s sun you’re after, this is the place to go! On the second day outside the city, we went to two well-known vineyards: Concha y Toro and Santa Rita. 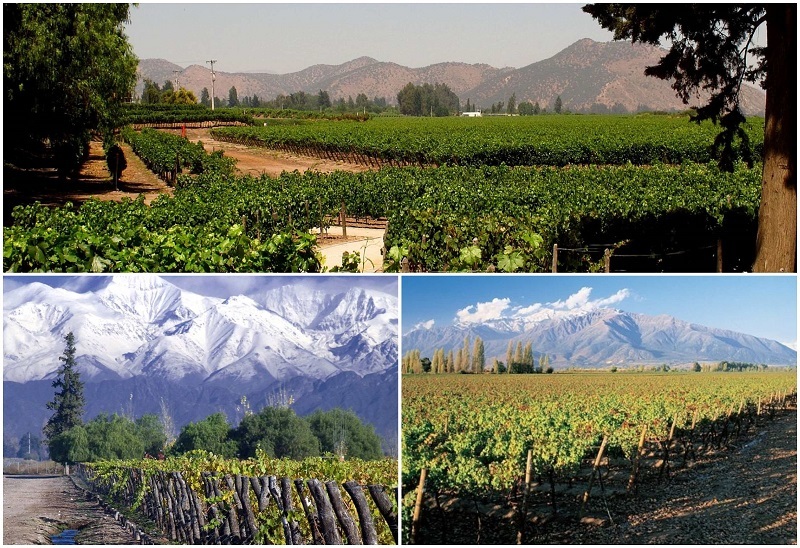 Both vineyards have very distinct tours and are also known for different varieties of grapes. At Concha y Toro, we were treated to a live Cueca performance while waiting for the English-language tour to begin. We were taken around the incredible Concha y Toro property, and shown the historically-important aspects of the land including where 120 rebels were housed during the fight for Chilean independence. The highlight for me was the Casillero del Diablo or “Devil’s Cellar” which is believed to be haunted by the spirits of past times. All of the wines here are named after a local legend or story. To reach Santa Rita in time for their afternoon English-language tour, we hopped in a taxi and rode for approximately 15KM (a cost of about $15USD). The Santa Rita tour focuses more on the process for making the different wines and on showing guests how to distinguish grape varieties from one another. We had a magnificent tasting in the cellar after an hour of exploring and were on our way with complimentary vineyard wine glasses and bags. It was a good decision to do both tours because, as I mentioned, they are distinct from one another. My parents were happy with the experience and so was I; after living in Santiago for almost six months I hadn’t made it out to see any vineyards even though they only sit an hour away. Sometimes it takes a visitor (or two) to get you out to the local sites. Depending on how much time you have in Santiago, there are some other places worth checking out. Patronato is a traditional neighbourhood in Santiago and resides near La Vega market on the other side of the Mapocho river, known as “La Chimba.” Due to an influx of Middle Eastern immigrants and those from other countries: Korea, China, Peru during the early 20th century, Patronato became a commercial district. It’s here you can find all sorts of deals on clothing, jewellery, as well as souvenirs and knick-knacks to take home with you. The Cementerio General is also worth a look while you’re in town. 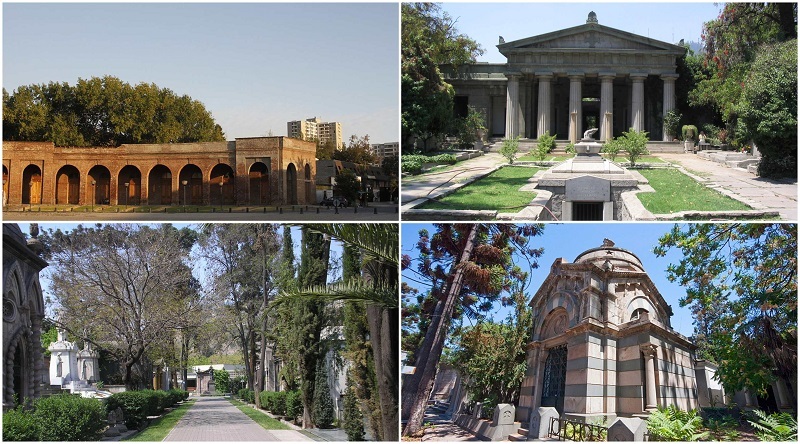 This cemetery is one of the biggest in Latin America with an estimated 2 million burials; it is located next to Cerro Blanco and serves as an urban park in Santiago. Along with the beautifully-adorned mausoleums and architecture, the cemetery offers a unique insight into Chilean history, including a place of honour for former president, Salvador Allende, ousted in the military take-over and a memorial dedicated to those disappeared during the dictatorship. I personally love Santiago, and I know my parents were mesmerized by the concrete jungle. At first glance, it seems to be a city like all others but that’s the magic; there’s so much to discover and make your own. 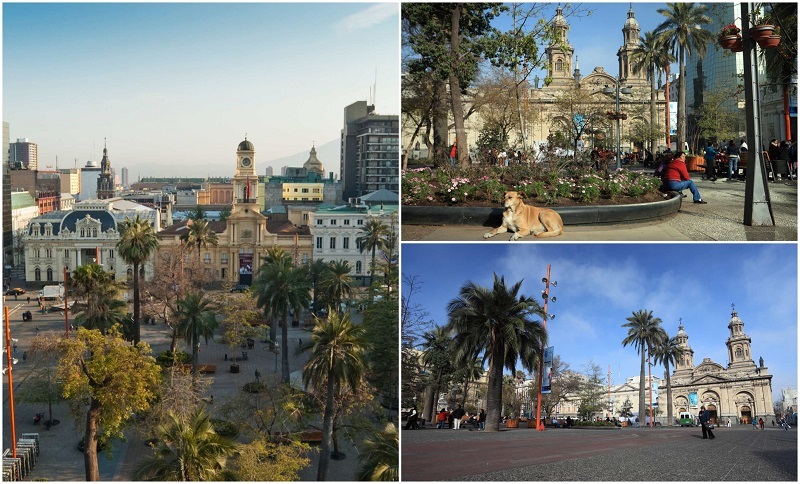 The fact that it’s convenient to get around and rated as one of the safest cities in the South America make it a great place to spend a vacation.